Ah, the "Scottish" play: one of William Shakespeare's great tragedies, it traces how Macbeth's unbridled ambition turns into moral corruption. Shakespeare made a chilling tragedy, but this story was not of his invention: it can be traced to several medieval Scottish chronicles. How is the historical Macbeth and his times different from the play? Find out below! 1. Macbeth was an usurper. The Shakesperean Macbeth was an usurper; this is how he was portrayed in late medieval Scottish chronicles. However, eleventh-century Scottish kingship was more complicated: Macbeth did kill King Duncan, but it was in battle. Primogeniture (i.e. inheriting a kingdom from father to son) was not yet fully in place in Scotland. Instead, royal candidates had two main prerequisites to become king: first, he must be of royal descent; and second, he must be of "worth." This meant that princes stemming from two or more competing royal families would battle each other for the throne. 2. Macbeth was killed by Macduff. Shakespeare's Macbeth was warned by the Weird Sisters that he would not be slain unless by a man not born of a woman. Macbeth thought such person did not exist, until Macduff told him that he "was from his mother's womb/ Untimely ripp'd." (Act V, Scene 8). The eleventh-century King Macbeth was slain at Lumphanan in 1058 by Malcolm III, known in the play as Malcolm Canmore. 3. Malcolm Canmore was raised in England in Saint Edward the Confessor's court. The notion of Malcolm Canmore as an English-raised King of Scots is prevalent in medieval Scottish history. However, contemporary sources such as the Anglo-Saxon Chronicle, and various Irish annals do not specify where Malcolm was raised; there is certainly no mention of Malcolm being raised at the court of Saint Edward the Confessor. The Life of St Margaret, Queen of Scots, written in the early twelfth century shortly after Malcolm's death by a priest who personally knew him does not mention anything about an English upbringing. Two Scottish historians, A.A.M. Duncan and Alex Woolf, have suggested that Malcolm was probably raised in Orkney, which at this time was an earldom of Norway. Malcolm's first wife, Ingibjorg, was either the widow or the daughter of Earl Thorfinn the Mighty, who gave the historical Macbeth plenty of trouble! The idea that Malcolm was raised in England is of later origin. 4. Malcolm Canmore, the heir to Scotland's throne, and King Malcolm III, husband to Saint Margaret of Scotland, are the same person. Shakespeare's play end where Malcolm Canmore's reign begins, so we do not know what became of Malcolm's new kingdom. Yet Malcolm Canmore is also known for another accomplishment: his marriage to Saint Margaret of Scotland, an Anglo-Saxon princess descended from the Wessex line of English kings. She was born in Hungary and went to England when Saint Edward the Confessor apparently had plans of making her father, Edward the Exile, his heir. However, under circumstances that are unclear, Edward died and soon the Normans arrived in England, which forced Saint Margaret and her family to flee for safety. It is said that they intended to return to the continent when a storm derailed their ship and forced them to stop in Scotland, where Malcolm gave them asylum and was entranced by Margaret's beauty. After pestering Margaret's brother, Edgar Atheling, for his sister's hand, Edgar finally caved in and Malcolm married Margaret in circa 1070 AD. 5. Malcolm Canmore was Prince of Cumberland. This is a misconception that first appeared in the twelfth century due to a scribal confusion. The most complete account of Earl Siward of Northumbria's military incursion into Scotland is given by twelfth-century chronicler John of Worcester. William of Malmesbury, another twelfth-century chronicler, took his information about the battle from Worcester's account and confused "Mael Coluim [Malcolm], son of the king of the Cumbrians" with Malcolm Canmore. And thus, a historical misconception was born. 6. Earl Siward of Northumbria brought his army to Scotland to depose King Macbeth. The Anglo-Saxon Chronicle specifies that Siward's campaign into Scotland was in 1054, not 1058, and while he defeated Macbeth, he did not kill him. Also, there is no mention of Siward's intention or reason behind the campaign. So Siward's incursion as a way of deposing Macbeth was a later chronicle addition. 7. Lady Macbeth did have a name—and a son! 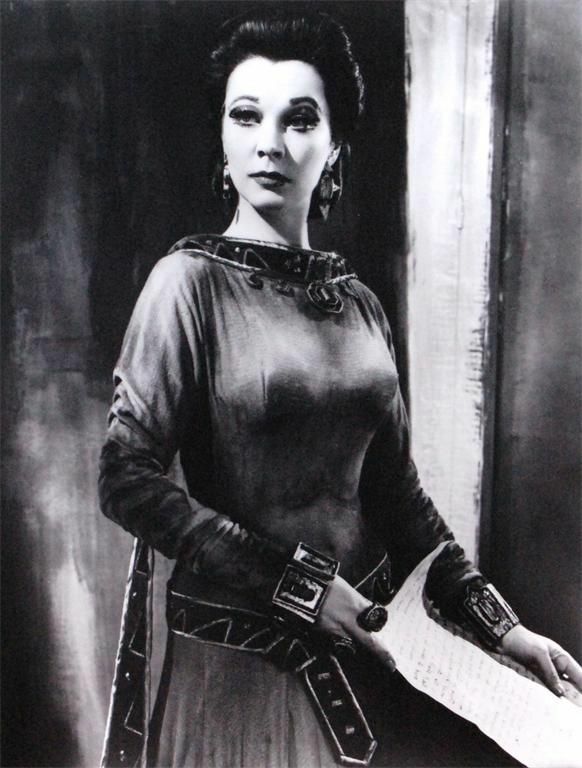 Lady Macbeth is also based on a historical character. Macbeth married Grouch, a descendant of King Kenneth III (997–1005 AD). 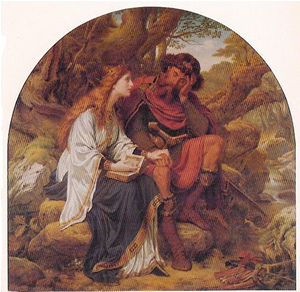 In fact, Gruoch was a widow with a son when she married Macbeth. Gruoch's son, Lulach (also known as "The Fool") was King of Scots in 1057-8 for around six months before Malcolm Canmore killed him. 8. King Duncan was an old, pious king. King Duncan I was the grandson of Malcolm II and came to the throne as a rather young man. He reigned only between five or six years before being killed in battle by Macbeth. 9. 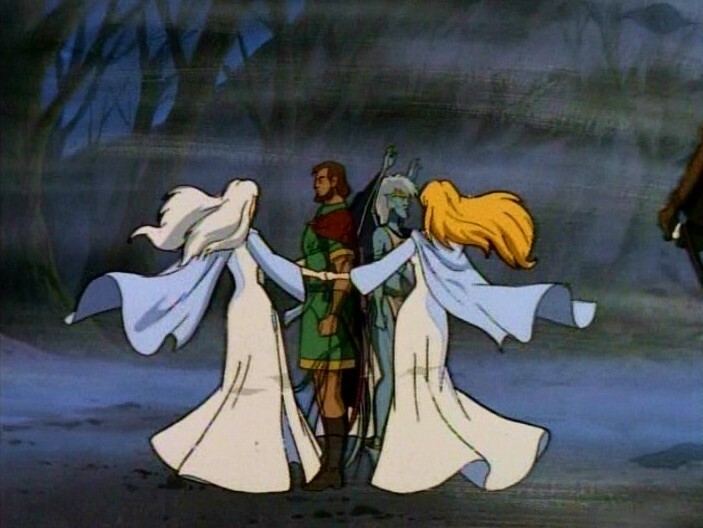 Macbeth met some Weird Sisters that prophecized his future as king. The first mention of the Weird Sisters occurs in Andrew of Wyntoun's Orygynale Cronikyl (ca. 1420s), the first history of Scotland written in Scots vernacular. 10. Macduff was not born of a woman. The Macduff earls of Fife were the most important noble family in Scotland between the twelfth and fourteenth centuries. It is believed that the first Macduff earl of Fife was Constantine Macduff, who possibly was given the earldom at the end of the eleventh century. It is also believed that the Macduffs are descendants of Scottish King Dub (997-1005 AD), making them of royal stock. The first mention of Macduff as not having been born of a woman is also traced to Andrew of Wyntoun's Cronikyl.